Full board blue voyage yacht cruise from Bodrum. Weekly departures with gulelt boats. Bodrum-Gokova-Bodrum route is the birth place and the most popular route for blue cruising with gullet yachts exceptionally being organized in Southwestern cost of Turkey. Arrival: There are regular bus connection to Bodrum from all major cities and towns of Turkey. Bodrum-Milas airport is 35 km away from Bodrum and many flight companies operate scheduled and charter flights to Bodrum in Summer season. From the airport there are also Havas Shuttle services in accordance with each planes' arriving to the domestic lines of Bodrum Milas Airport. (approximately 10 Euro pp). Click here for the shuttle schedule of HAVAS for Bodrum airport. In high season, Bodrum is reached by the sea from Greek Islands of Cos and Rhodes. Daily ferryboat services from/to Cos and Rhodes to Bodrum are available during the summer season. You can check in to boats after 15:30. Those who came earlier can leave their luggage at our local agent's office until that time. The cruise boats stay in the marina of Bodrum on the first day of the cruise program, therefore the guests can check-in to the boats from early afternoon till late evening, which gives you flexibility with arrival time of your flights or buses, especially useful if you are not staying in a hotel in Bodrum the previous night. 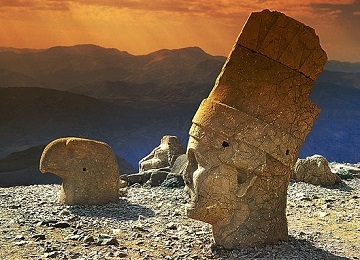 Thus, you will also have a chance to discover exciting Bodrum town on the first day. Since you will be on quiet bays and beaches for about one week ahead of you, you can start your vacation by joining crazy night-life of Bodrum on this busy Saturday night. Get ready for an incredible journey. While you have breakfast, you will be informed about the cruise itinerary and the boat. Right after breakfast your boat will depart from Bodrum Marina for Orak Island famous with its sparkling turquoise waters. You will have considerable time for swimming in crystal-clear waters and have your lunch in Orak Island. Before the evening you will sail on to Cokertme for dinner and overnight, where cheerful and friendly local people live. 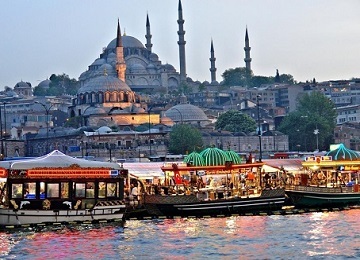 Cokertme is a charming fishing village famous for its hand-made carpets. If the weather conditions are permitting it may be possible to use the sail on the way. Guests are welcome to take a short walk on the shore. Cokertme: This small hamlet, mentioned in the local folk songs, is an important stopover before or after crossing the Gokova Gulf. Cokertme Bay takes its name from a small village. Cokertme Bay is a sheltered place for spending the night. It is well known by the boatmen mainly because its secluded bays well protected from the wind. Cokertme has a long coastline with forests of pine and olive trees starting right from the coastline. Local restaurants with reasonable prices offer fine food to boat people. At night time, there are even belly dancers entertaining the visitors. We will cruise to Sedir (Cedrae) Island. This unique island with its small beach and unbelievable clear water is like an open-air museum. Then our boat will sail to Karacasogut village for dinner and spend the night there. This lovely village is located at 25 km away from Marmaris. Therefore, it is possible to visit Marmaris via 'dolmus' (mini buses) if you want. 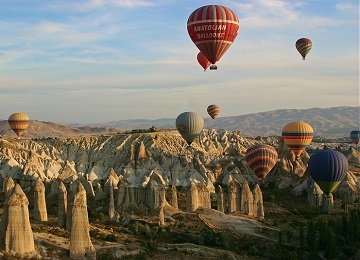 We also have an optional tour to Dalyan - Caunos. The guests who want to make a shorter cruise may leave the boat here. Sedir Island: A rumor has it that, this was the meeting point of Cleopatra and Mark Anthony. You can still visit the ruins of a horse shoe shaped antic theatre and other things from Hellenistic and Roman periods. This island boasts an incredible beach with fine sand composed of fossils and a magnificent view of the Kiran Mountains across the bay. Cleopatra's beach of Sedir Island is one of the most beautiful and crowded beach in Turkey. It is also suggested that the fine sand of the beach was brought all the way from Nile river of Egypt. The Sedir (Cedrea) Islands was also a resort area at Roman times, now crowded by people coming mainly from Marmaris. 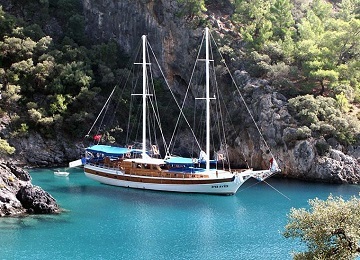 Karacasogut is the most suitable and logical place for anchorage in the area, located 25 kms from Marmaris town. 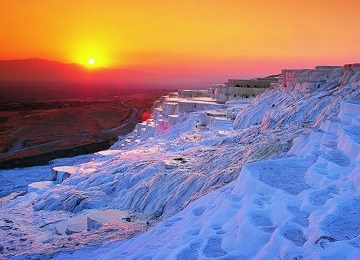 It is one of the spectacular places of south western Anatolian coastline. The area already attracted land developers who built fancy summer villas around the bay. Cruising to Kargili Bay (Molla Ibrahim Bay) early in the morning. After lunch, we will be anchoring at Kisebuku. 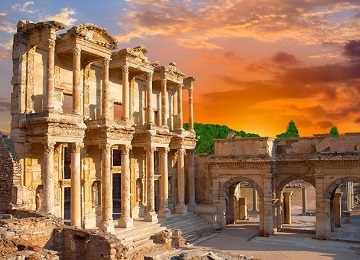 You will see the Byzantine' ruins. We will spend the night in this lovely bay. Average Price: 240-520 Euro per person per week in double cabins; including tax, accommodation on gullet boats with en suite baths, breakfast, lunch, dinner, board games and basic snorkeling equipments. Book your private boat and cruise in any destination and time. From recommended variety of boat options you may select the one which fits to your budget and/or expectations.